Morning sickness is a common side effect of pregnancy. While mild morning sickness does not necessarily constitute a health risk, some parents are alleging that one treatment option for it might harm a developing baby. Two of these parents, who reside in Lafayette Parish, Louisiana, have filed a lawsuit against GlaxoSmithKline (GSK), the manufacturer of Zofran (ondansetron). 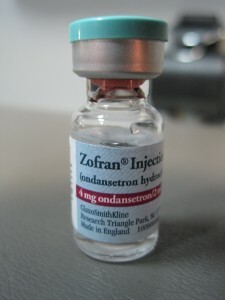 The lawsuit claims that the defendants concealed knowledge that Zofran posed a risk to a developing fetus and that had the mother known of these risks, she never would have taken Zofran during her pregnancy. Like many other expectant mothers with nausea, the mother from Louisiana was prescribed Zofran during her first trimester of pregnancy. After her son was born on November 7, 2012, physicians conducted echocardiograms on the child. These tests revealed that he had been born with congenital heart disease. Specifically, the boy had an enlarged right ventricle and pulmonary atresia. The Zofran lawsuit claims that these birth defects were the direct result of the mother’s use of the medication during pregnancy. Having an enlarged heart chamber can lead to potentially life-threatening complications. While it is unknown if the minor child has experienced any of these complications, the existence of an enlarged right ventricle may place him at a greater risk of blood clots that can develop in the lining of the heart. These blood clots may then enter the bloodstream. If blood clots travel to the brain, they can cause a stroke. If they travel to the lungs, blood clots can cause pulmonary embolism. Other serious complications that may result from an enlarged ventricle include the development of a heart murmur, cardiac arrest, and sudden death. The child’s other primary birth defect, pulmonary atresia, is a type of congenital heart problem in which the pulmonary valve fails to form properly. Because the valve remains closed, blood is unable to reach the lungs to become oxygenated. Pulmonary atresia can be indicated by symptoms such as bluish skin, rapid breathing, fatigue, shortness of breath, and poor feeding. According to the complaint, the minor child had to undergo surgery not long after birth. However, the boy has allegedly suffered from substantial developmental delays that have impaired his education, caused a loss of enjoyment of life, and required him to continue with intensive medical treatment. The Louisiana mother claims that she never would have consented to use Zofran had she known of the birth defect risks associated with the drug. She and the boy’s father demand that GSK be held liable for alleged fraudulent concealment of the risks of Zofran. The drug was approved by the FDA to treat nausea in patients who are receiving chemotherapy or radiotherapy, and in those undergoing surgery. The drug has never been approved for the treatment of morning sickness. It’s not uncommon for a medication to be prescribed for off-label use, although it is not legally acceptable for a pharmaceutical company to market a drug specifically for off-label use. The Louisiana plaintiffs claim that GSK should be held liable for allegedly inappropriate marketing tactics. Have You Been Injured by Zofran?